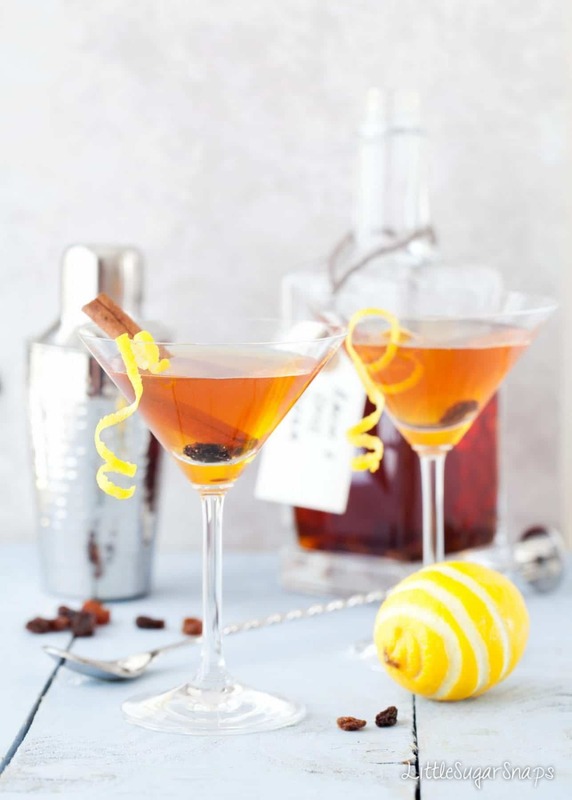 Full of sweet raisin, cinnamon and nutmeg flavours this Hot Cross Bun Easter Martini is your favourite springtime treat in cocktail form. It’s easy to make and so perfect to share with friends over the extended weekend. Just don’t forget to infuse the vodka a week or so in advance. Oh how organised I’m feeling. Smug you might say. And all because I’ve actually got around to getting this Hot Cross Bun Easter Martini out in good time for Easter. Normally I fly by the seat of my pants and often realise, 24 hours ahead of time, that I’m about to miss yet another major food event on my blog. Pancakes for Shrove Tuesday being my most recent case in point. Ooops. I am slowly learning though – I’ve been eyeballing Easter for a couple of weeks now. My mind has been rapidly ticking away coming up with numerous Easter themed sweet bakes. I’d say my mind ought to settle down now. I could do with getting on with the actual baking and recipe testing since I’d like to share at least one of these bakes with you in time for Easter 2017. But back to today. 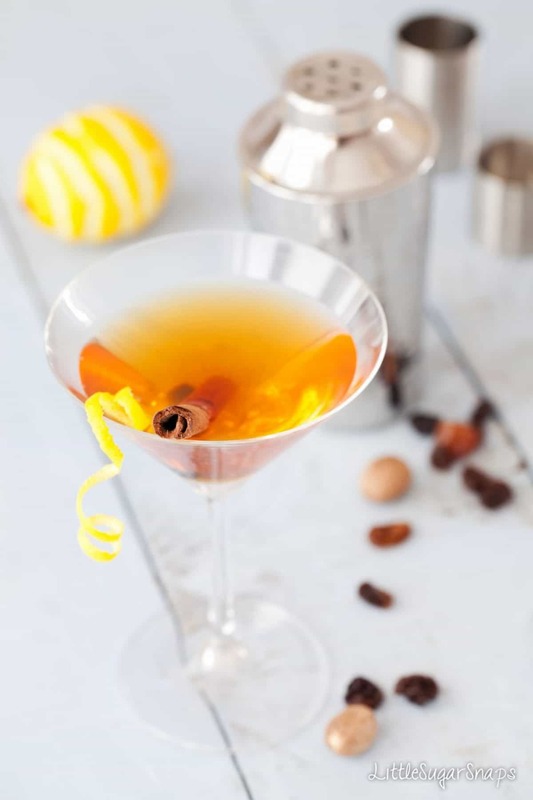 I’m particularly pleased that I’ve got this sneaky cocktail ready for you to enjoy since the vodka needs to infuse with raisins and spice for a week or so before you can make the Hot Cross Bun Martini. I won’t be breaking new ground by reminding you that the traditional hot cross bun is a spiced sweet bun made with currants or raisins, marked with a cross on the top, and gobbled up on Good Friday. 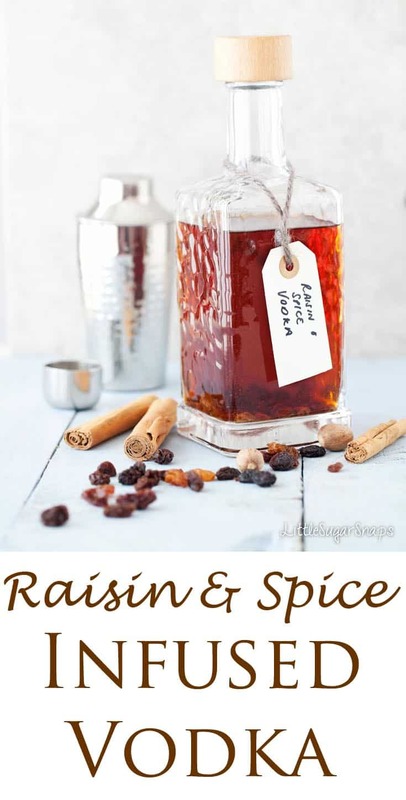 Hence my decision to infuse the vodka with raisins, cinnamon and nutmeg. Once the vodka is ready, it’s a simple case of adding to this springtime festive mix. Since UK supermarkets are awash with variations on the classic hot cross bun, I’ve taken a few liberties. I’ve added a dash of apple juice and a twist of lemon to create my Hot Cross Bun Easter Martini. The result is an off-dry cocktail that is fruity, sweetly spiced and faintly zesty. Although it is perfect for Easter, I’ve been enjoying it throughout the entire year for the last 3 years. Which is perhaps why I forgot my Hot Cross Bun Easter Martini is all about Easter. Um… I did not share it in 2016… or 2015. Oh dear. The infused vodka will keep for a very long time in an airtight bottle. 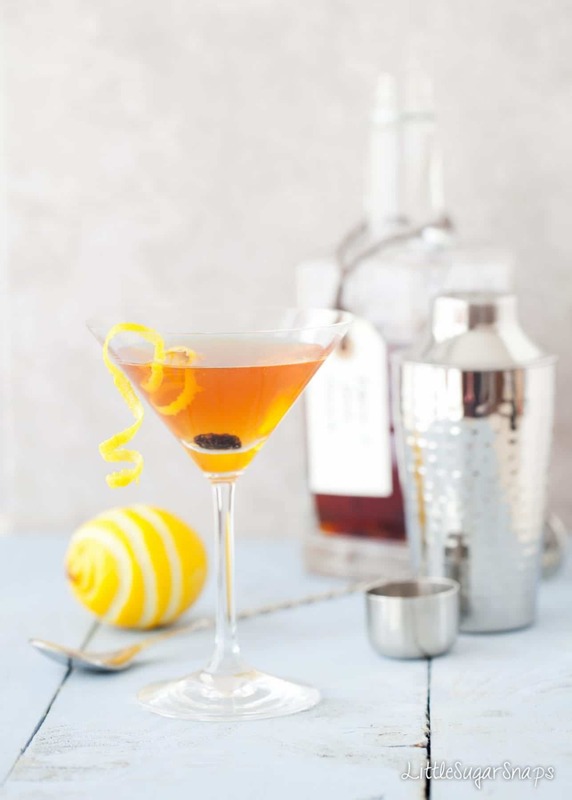 Fancy a longer springtime drink – try a Baylon Cocktail. It combines Bourbon with pineapple, pear, mint and a hint of cinnamon. This is truly unique. Infusing the raisins is genius. I might fish them out and eat them before anyone sees! Thanks Amanda – those raisins add a lovely depth to the vodka – I like to drop one into my glass before serving. What a really fun idea. Do you mind if I borrow it for our supper party tonight? Thanks Bintu – feel free. I’ve never heard of this type of infusion before, but I love it! This is a lovely cocktail and it sure beats a chocolate rabbit! Definitely one Easter Treat the kids can’t get their hands on – unlike those chocolate bunnies. I am so in love with this Martini, such a fun idea! And sounds totally delicious. 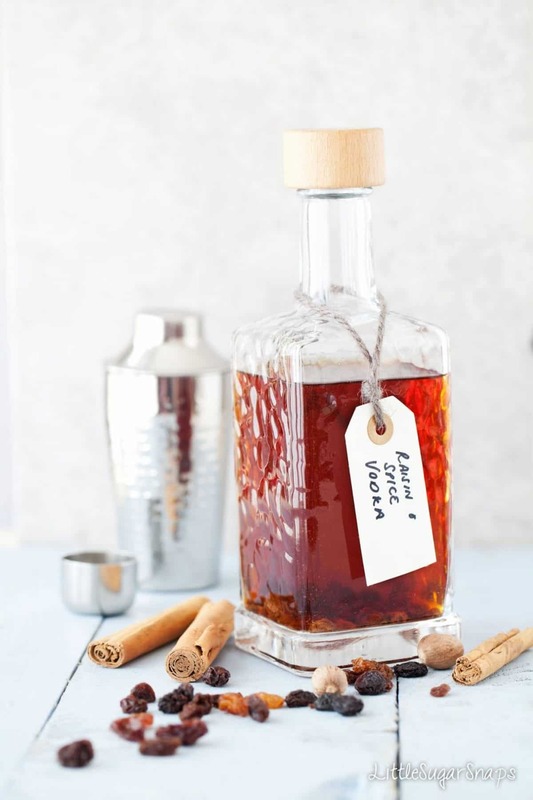 And you’ve inspired me to start infusing vodka again – i may have to start with this idea! Do it Michelle – you’ll come up with some amazing cocktail with the results too.